The 5.12m diameter Mongolian tent is about 21 square meters, usually be for about 2 to 3 people to live. There is one aluminum window and one wooden door on the sidewall. The quantity of door or window can be added. The frame is made of aluminum and bamboo, the cover has four layers to keep warm and be waterproof. 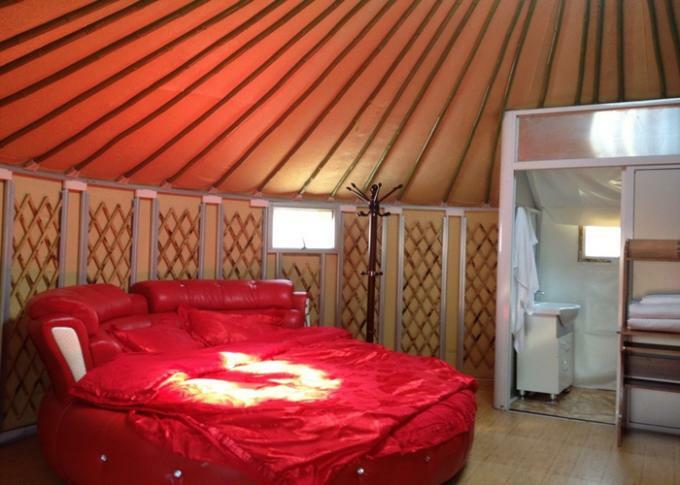 The 5m diameter yurt is enough for 2 people to live, you can also seperate a spare to place the bathroom. Or we supply 2m or 2.5m dia yurt to be connected the large yurt for the bathroom. 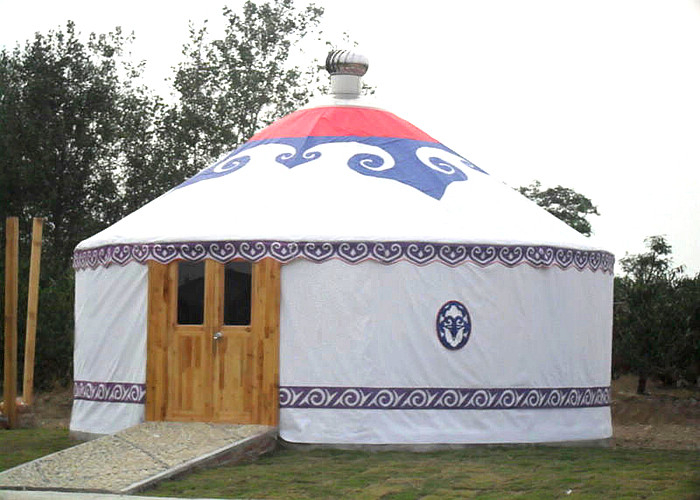 Mongolian tent is widely used in resort, catering, view, hotel tent, ecological garden, mountain villa, lodge, etc. · Custom design the tent according to the clients' requirements ,for example, size, cover color and pattern.